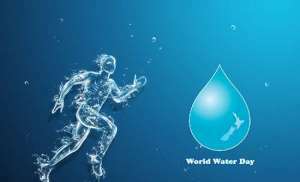 World Water Day (WWD) 2019 is on the theme: “Leaving no one behind”. The theme highlights access to water as a basic human right and provides a focus to reflect on why people have been left behind and how access to water and sanitation, and sustainable water management can be drivers of change. This year’s celebration is being used to highlight the various areas of disparities that exist in terms of access to water resources within Ghana. This will enable stakeholders to consciously make effort to address the issues and factors causing these disparities to bridge the gap. They include the burden of water collection, particularly for women and time spent for collecting water; rural-urban disparities, particularly in terms of accessibility, affordability, participation and accountability; and disparities due to geographical location. World Water Day was instituted in 1992 by the UN, and first celebrated in 1993 to draw attention to the importance of freshwater and advocate for the sustainable management of freshwater resources. Access to water is recognized by the United Nations as a human right, reflecting the fundamental nature of this basic resource in every person’s life. The human right to safe drinking water was first recognized by the UN General Assembly and the Human Rights Council as part of binding international law in 2010. Lack of access to safe, sufficient and affordable water, has a devastating effect on the health, dignity and prosperity of billions of people, and has significant consequences for the realization of other human rights. People are rights-holders and States are duty-bearers of providing water services. Rights holders can claim their rights and duty-bearers must guarantee the rights to water equally and without discrimination. International human rights law demands a specific focus on those people who do not fully enjoy their rights, leading to explicitly ‘pro-poor’ development in many countries. It also requires a commitment to progressively reduce inequalities by tackling the discrimination and stigmatization that can lead to people being excluded from, or marginalized in relation to water. Ghana has successfully and respectfully earned the admiration of all, by not only achieving the Millennium Development Goals (MDGs) target for reducing by half the number of people without access to water, but also surpassing the milestones with about 87.2% coverage. However, much more remains to be done as pockets of areas remain unserved and underserved with safe water. Also, various disparities and inequalities exist amongst the people who have access to water. Water used for drinking, cooking, food preparation and personal hygiene is suitable for use by men, women, girls and boys of all ages including people living with disabilities. On the occasion of the 26th celebration of World Water Day, the National Planning Committee for World Water Day celebration in Ghana is calling on all stakeholders to reflect on the past, the present and project into the future in terms of fulfilling the UN Human Rights to Water. It is also a call to develop ideas, which will ultimately help address sustainably the issues of people being excluded or left behind.